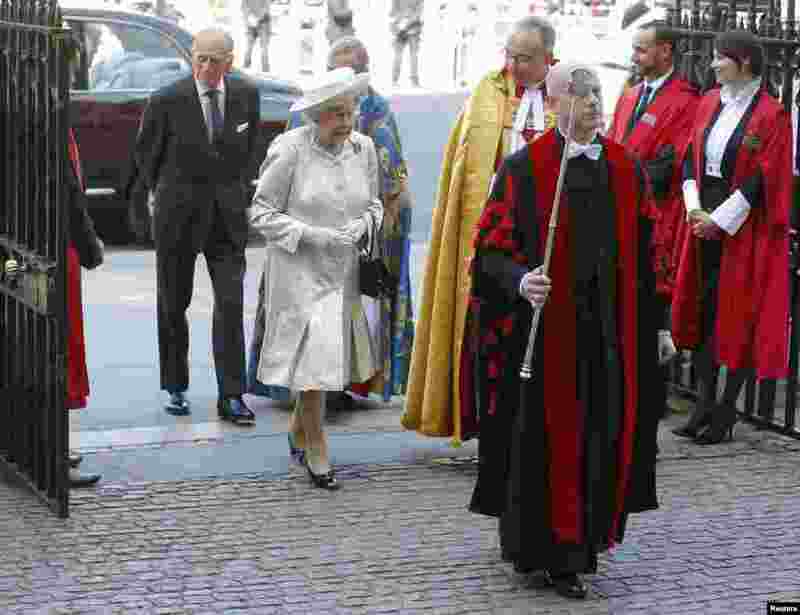 1 Britain's Queen Elizabeth arrives with Prince Philip at Westminster Abbey to celebrate the 60th anniversary of her coronation in London, June 4, 2013. 2 Britain's Prince William, Prince Andrew and Catherine, Duchess of Cambridge arrive for a service celebrating the 60th anniversary of Queen Elizabeth's coronation at Westminster Abbey, London June 4, 2013. 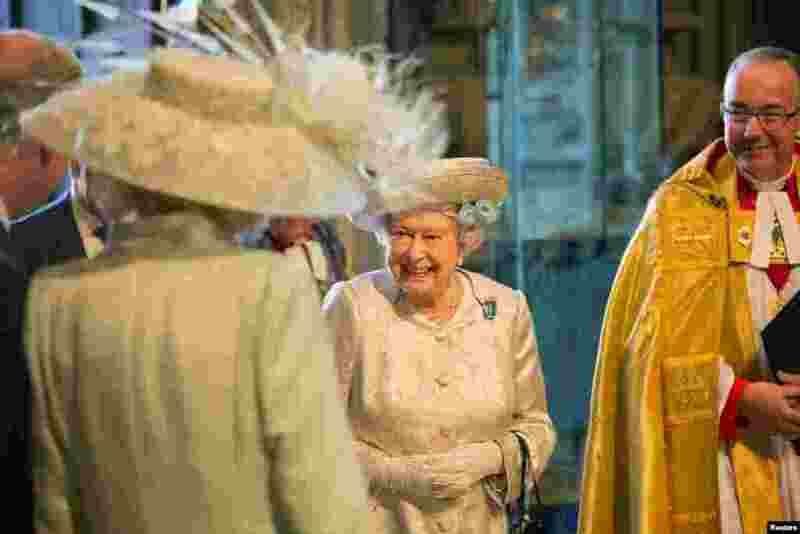 3 Britain's Queen Elizabeth arrives to attend a service celebrating the 60th anniversary of her coronation at Westminster Abbey, London, June 4, 2013. 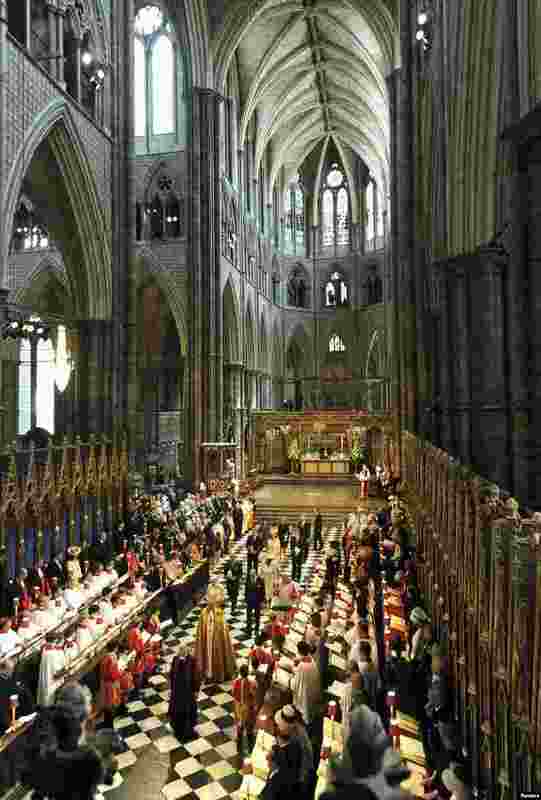 4 Britain's Queen Elizabeth departs a service with members of the Royal family celebrating the 60th anniversary of her coronation at Westminster Abbey, London, June 4, 2013. 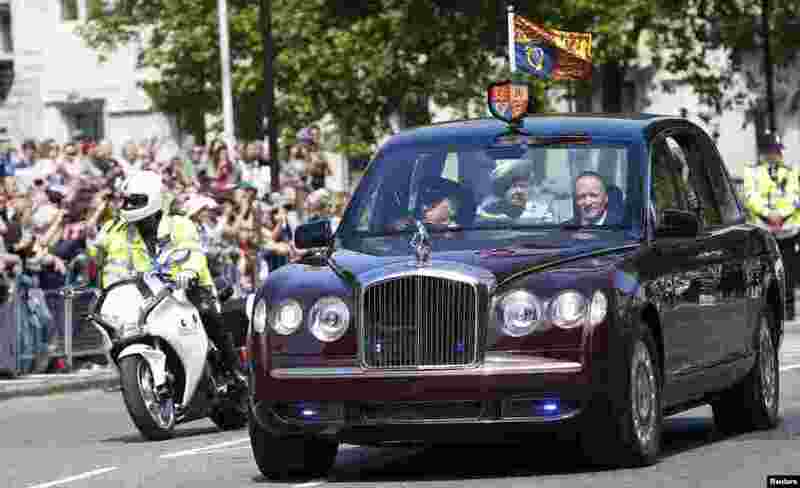 5 Britain's Queen Elizabeth leaves Westminster Abbey after celebrating the 60th anniversary of her coronation, London, June 4, 2013.